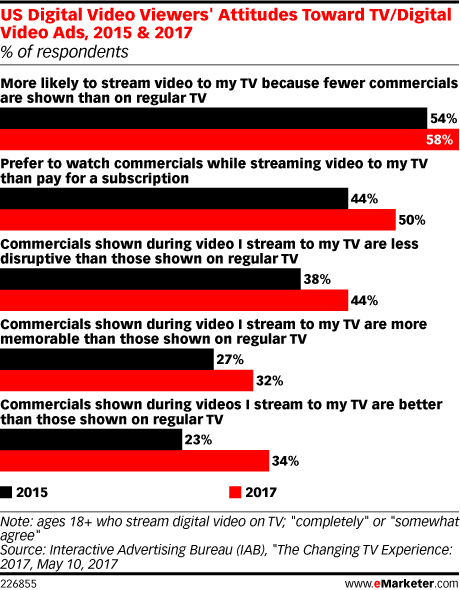 Data is from the May 2017 Interactive Advertising Bureau (IAB) report titled "The Changing TV Experience: 2017." 821 US internet users ages 18+ were surveyed online during March 17-24, 2017. Respondents were part of MARU/Matchbox's Springboard America Online Panel.